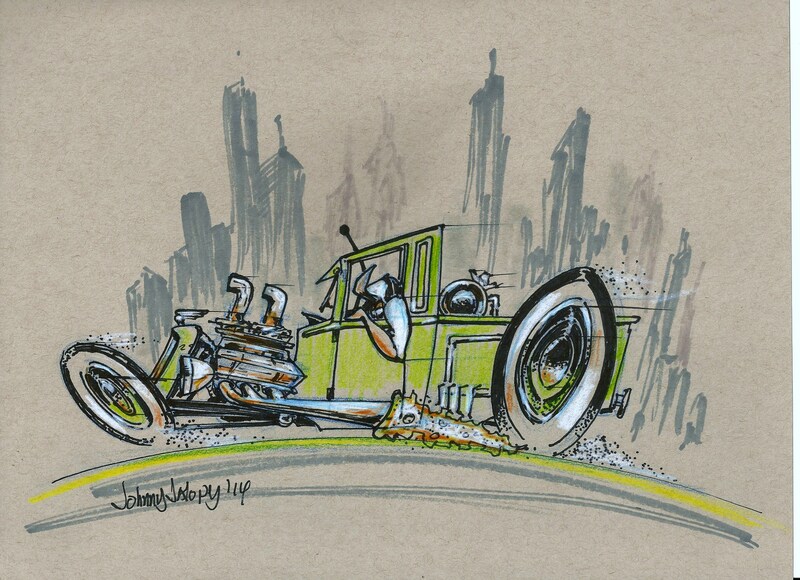 Through listening to Friction In The Static Podcast I learned of an artist named Johnny Jalopy. After checking out his art a quick friend request on Facebook was sent. For about 3 years now I’ve enjoyed seeing everything from his doodles to his full on masterpieces. 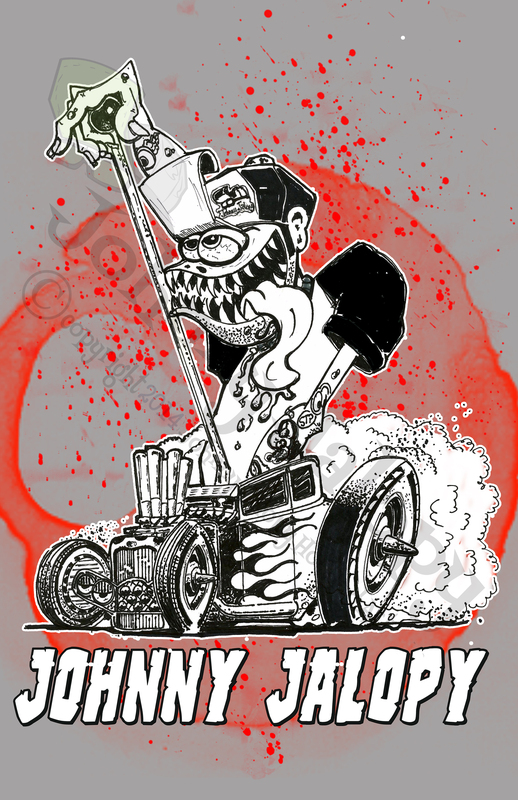 Johnny is my next victim for the Artist Feature, sit back and enjoy his art and learn a bit more about the man. 1.) Do you remember an “ah-ha” moment that made you know that art was going to be an integral part of your life? 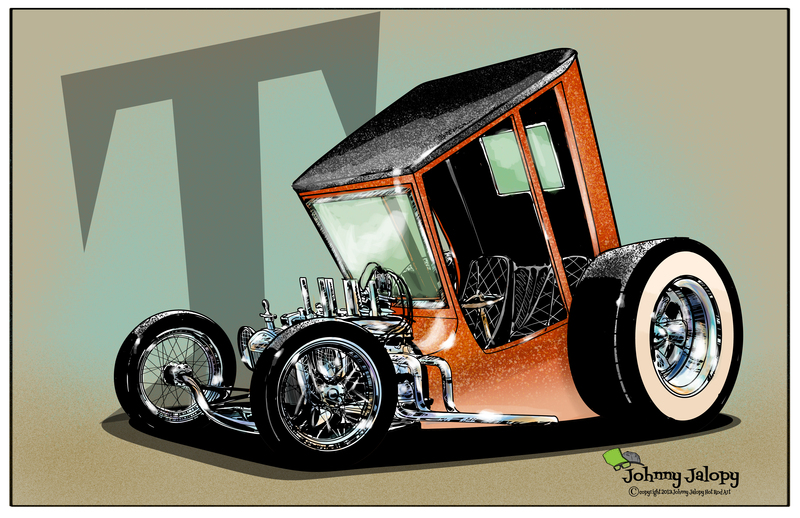 I have always had a desire to be creative and have always dreamed of doing art for a living. The moment that I knew I had to go for my dream is the day I lost my Dad. He was a great artist that never believed in his work and was too afraid of rejection to try to sell or show is work. But he always dreamed of selling it. So I made a promise that I was going to go for my dream and not let anything stop me. 2.) If you could pick 1 piece of your work that would represent the entire body of your work, which one would you choose? I dont think I have one yet as I always see my art as a work in progress. I feel like I still have so much to work on and so much to learn. I am not sure if I will ever be satisfied with it. Sad right? 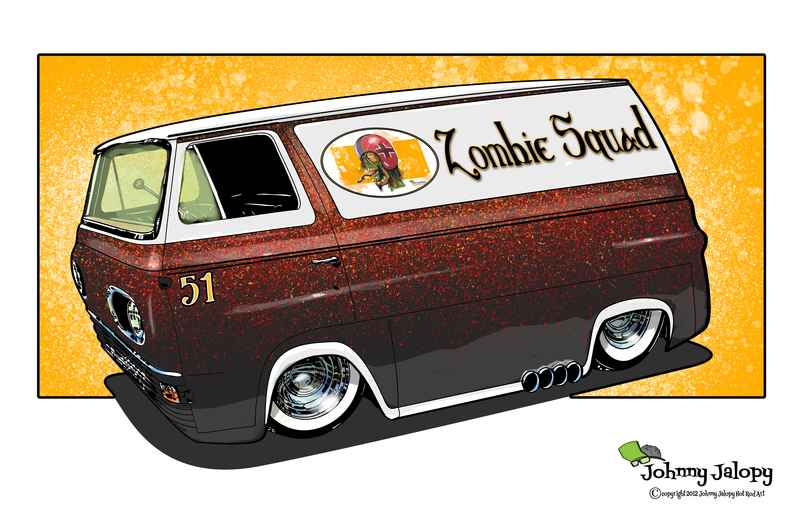 Hahahaha But one of my pieces that has had received some great responses is my Zombie Squad Van. Very fun to do and I feel like I nailed the look of metal flake. 3.) Who or what most inspires your work? My Dad Raymond H Wood, Big Daddy Roth, Ed Newton, George Trosley, Dave Bell, Dave Deal, Thom Taylor who are legends. And my art friends like Zombie, Nate Greco, Todd Jones, Ben Dragdaddy, Bernie Ramirez, Mark Ervin, Lemorris Harris, Kristina Magnuson Albrecht, Gary Campesi, Chuck Majewski, Scott Fisk, Mike Yapps, George Webber, Micky Hora, Max Grundy, Keith Weesner, David Lozeau so many other I feel bad I left them out! 4.) 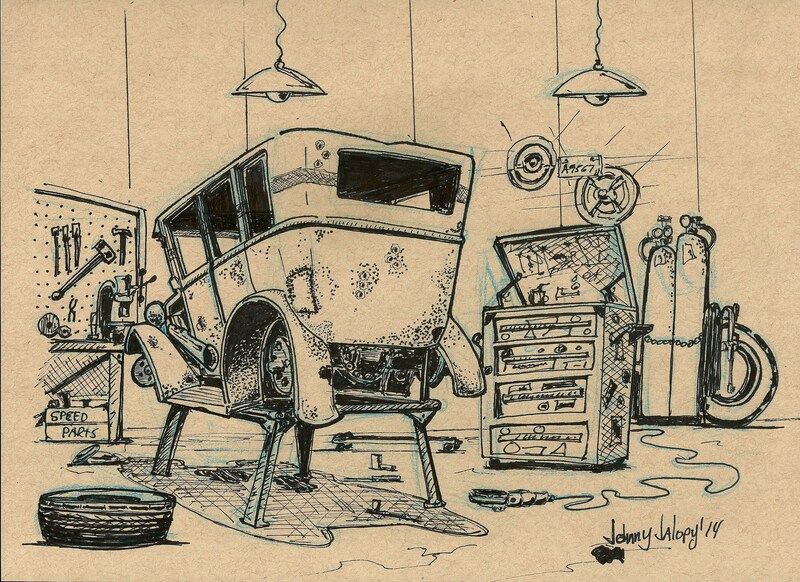 Is there an artistic style or process that you haven’t tried yet that you want to try? 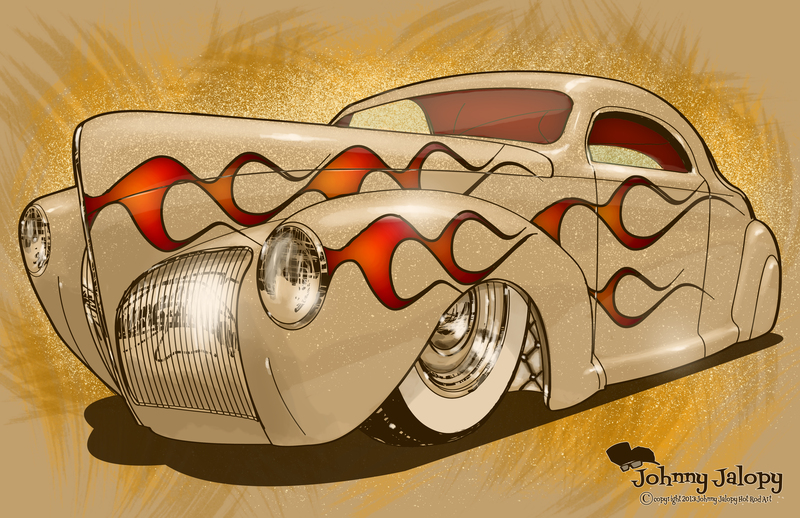 Still working on pinstriping and would love to try sculpting and metal work. 5.) What’s 1 piece of advice you’d give an artist that’s just starting out today? Work at your craft every moment you can. Dont give up and believe in yourself. Find your own style don’t pigeonhole yourself into on style, try them all.